We know the giant Chinese mining enterprise, Bitmain, and also the American technology company that produces graphic processing units, Nvidia. According to CNBC, Bitmain, has reported higher profits in 2017 than Nvidia. Nvidia, a company that was founded 24 years ago made $3 billion dollars in profits while the four-year-old Bitmain reported between $3 and $4 billion dollars in 2017. Bitmain is the most known Application-Specific Integrated Circuit (ASIC) seller and producer on earth. The cards created in order to mine Bitcoin and other cryptocurrencies have been increasing in demand after the prices of the cryptocurrency reached new all time highs in December 2017. According to a report conducted by Bernstein, Bitmain holds 70 to 80 percent of the Bitcoin mining hardware. Most of the revenue has come from selling mining rigs. The other part of the revenue came from fees from the mining pools that Bitmain operates and from the rent of mining power of its mining farms through cloud services. The Nvidia graphic cards have been used for mining cryptocurrencies too. But the main difference is that these cards have been used by “hobby miners.” These GPU’s are less expensive than the ASIC powered rigs that Bitmain sells, like the AntMiner. Of course the mining power is also less for GPU miners. Bitmain has been searching new places in order to settle its operations after rumours that China was going to ban bitcoin miners. Bitcoin mining activities consume a lot of energy, meaning that several industrial zones and cities have been facing price increases and shortages. Switzerland and Canada may be the next places where Bitmain will have part of its cryptocurrency mining farms. 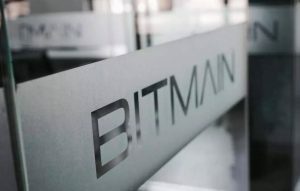 Furthermore, Bitmain has opened a mining pool subsidiary in Israel, and a regional headquarter in Singapore. If there is a crash in the cryptocurrency market, Bitmain has an important cash position and also sells chips to miners.